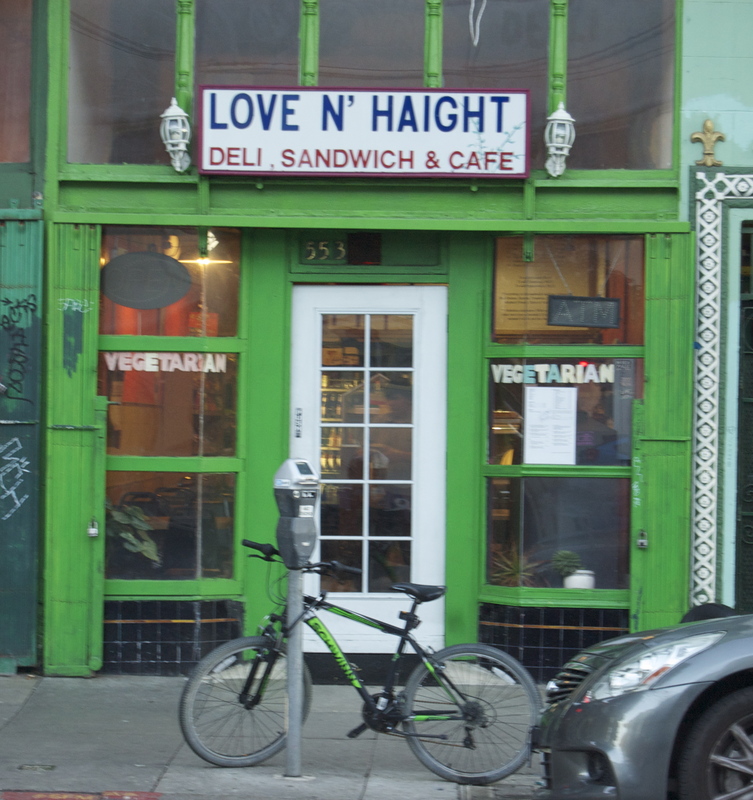 The Lower Haight is an underrated pocket of San Francisco that deserves a second look. 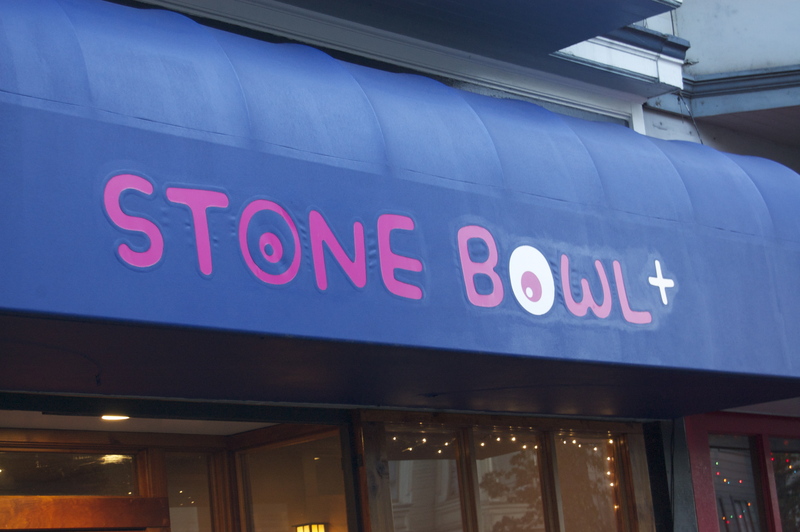 With everything from boutiques, record stores, bars, and restaurants, it is difficult to be bored in this neighborhood. The variety of restaurants span from ethnic to classic American and from swanky to homey, but no matter the atmosphere, the food is almost always top notch. Here’s a list of the 10 best dining establishments in the area. Thep Phanom is a cozy, family-owned Thai restaurant that has been operating in the Lower Haight since 1986. The menu covers all the basics from coconut soup and spicy curries to an assortment of traditional small plates. Almost everything on the menu can be ordered as tapas, which is great for those who like to try a little bit of everything. With a wine list that is so affordable it’s impossible to resist a bottle, Thep Phanom is the perfect date spot if you’re craving something cheap, ethnic, and delicious. Located on the corner of Haight and Steiner, Uva Enoteca is a stylish little Italian joint thats serves rich and simple dishes. The antipasti plates and pastas will satisfy anyone’s Italian cravings, but the traditional-style pizzas are what keep people coming back for more. The stretchy dough and homemade sauce make it impossible to make a bad choice. Try the Anchovy, with capers, Calabrian chilis, mozzarella and San Marzano tomatoes, and pair it with a nice pinot noir. Bravissimo! 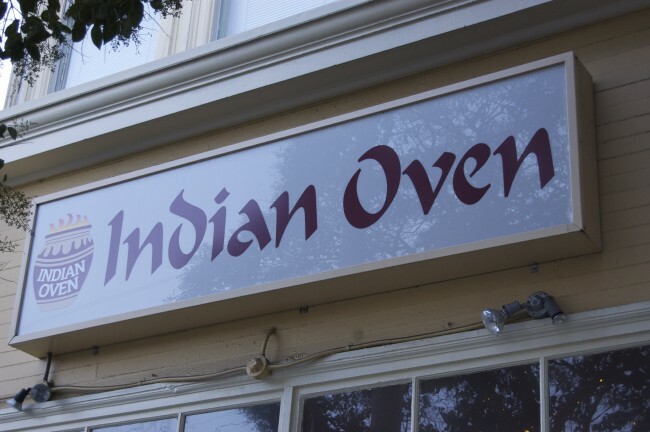 San Francisco has no shortage of good Indian cuisine, but the Lower Haight’s Indian Oven is one of the best. Delicious dishes like lamb vindaloo (lamb curry and potatoes in a very hot curry sauce) or saag paneer (homemade cheese sautéed with spinach and spices) pair beautifully with the restaurant’s freshly baked naan. Tucked on the corner of Lausatt and Fillmore, Indian Oven is a quiet, well-kept secret that’s open seven days a week. 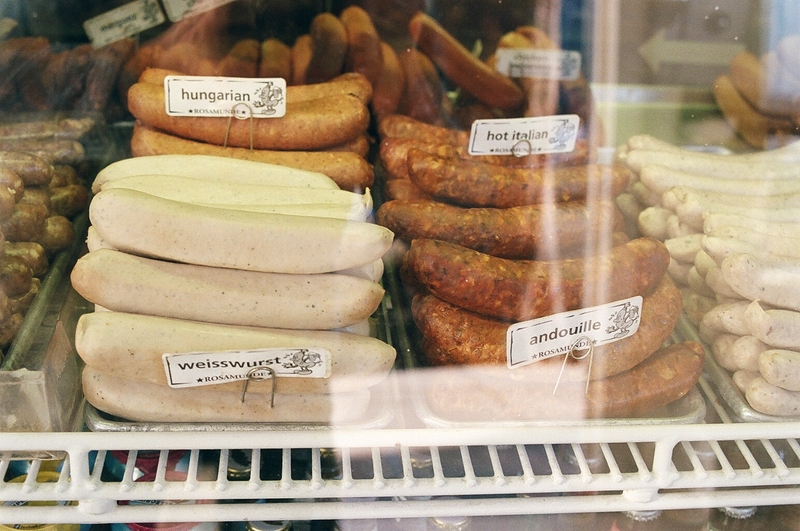 Rosamunde Sausage Grill is a quick service sausage restaurant that is known for their large variety of quality meats and homemade recipes. Their sausages range from boar to duck, bratwurst to weisswurst, and beer sausage to andouille — the list goes on and continues to evolve. 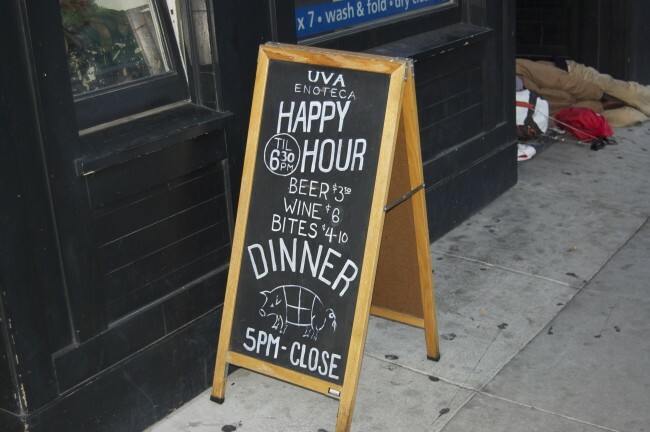 Located next to Tornado, one of the city’s best craft beer bars, Rosamunde has long satisfied Haight Street’s buzzed patrons. 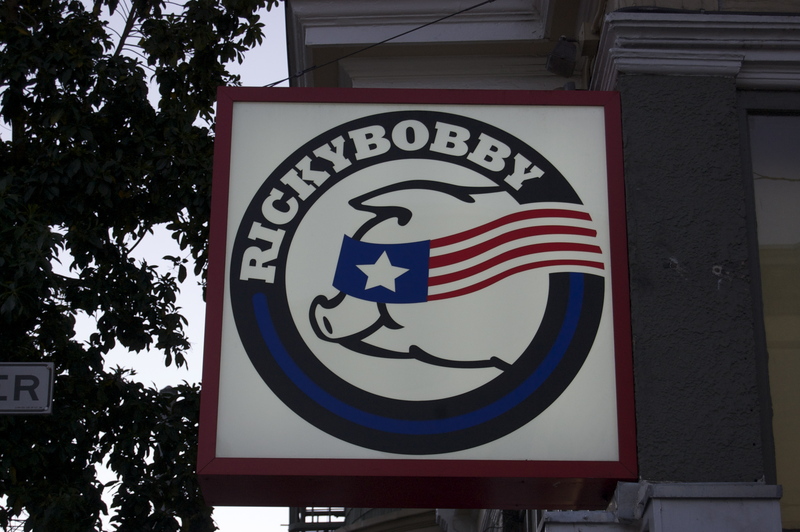 Ricky Bobby is an American restaurant that puts a spin on Southern-style cooking. The menu is an on-going list of guilty pleasures from the burger that has been infused with bacon to the French fries that are smothered with pulled pork. With $5 beers and wine at $30 a bottle, Ricky Bobby is sure to have you in a comfort food coma. If you have ever found yourself struggling to find a quality cocktail in the Lower Haight, Maven is the solution you’ve been seeking. Maven is a dark swanky lounge, located on the corner of Haight and Steiner, that offers a full menu and house cocktails to pair with every dish. The Chestnut Street, an autumn-spiced bourbon drink, coupled with the winter squash soup would put even Ebenezer Scrooge in the holiday spirit. Love N’ Haight Deli is a vegetarian sandwich shop that has been changing the attitude of carnivores for years. This family-run neighborhood staple offers everything from vegetarian smoked duck to a vegan burger. Although there is a small selection of meat options on the menu, it is the variety of vegetarian choices that inspire this deli’s creativity. 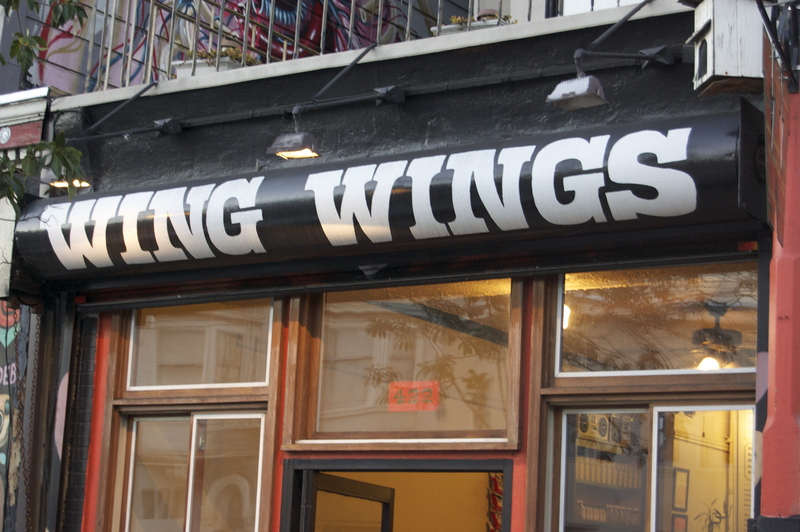 On the corner of Haight and Webster, there is a tiny storefront that is dishing out some of the best chicken wings in San Francisco. Wing Wings has everything anyone could ever want in a chicken wing restaurant. Their wings are hearty and come from all-natural free-range chickens, which are then complemented by ten sauces and rubs from which to choose. They also offer other country-style favorites like biscuits, gravy, and potato salad. With a delivery service and a kitchen that stays open until either midnight or 2am, Wing Wings is an essential part of the neighborhood. 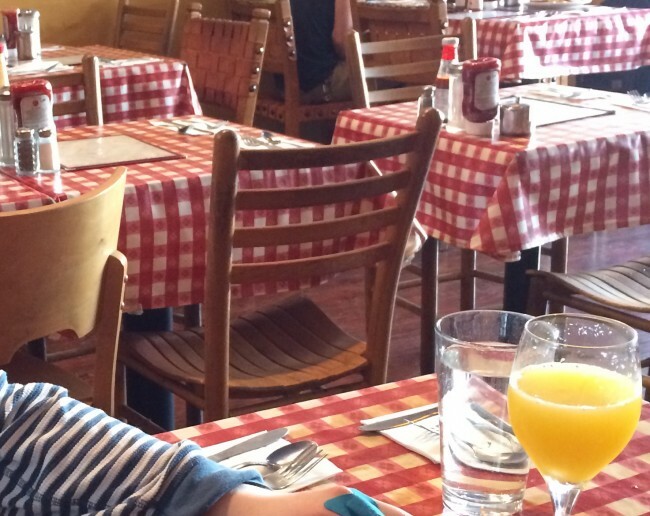 Kate’s Kitchen is a home-style restaurant that offers simple American cuisine. Perfect for breakfast, lunch, and dinner, Kate’s dishes will inspire the inner farmer in anyone. This picnic-style restaurant has an agricultural theme, from the daily soups to the long list of freshly squeezed juices. Kate’s recently started offering live music on Tuesday and Friday nights along with a happy hour that lasts from 5pm to 9pm. So if you find yourself in the area, swing by for a quick bite and a show.